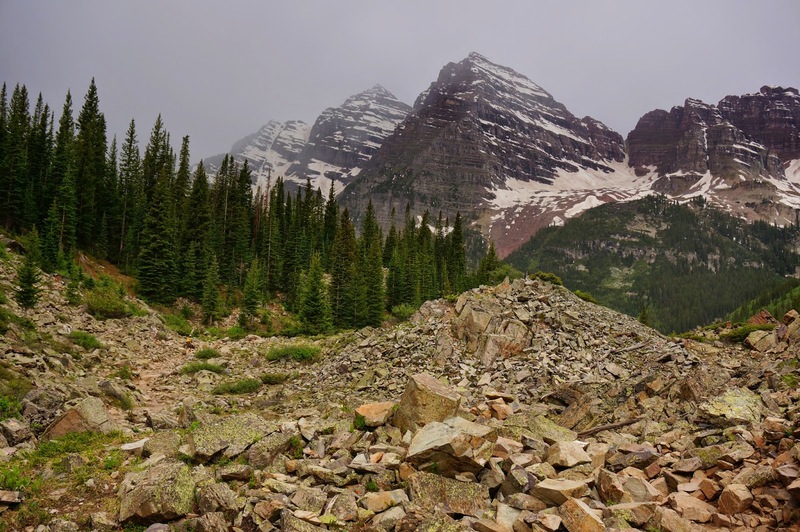 Fee: Yes, National Parks Pass Accepted Here. 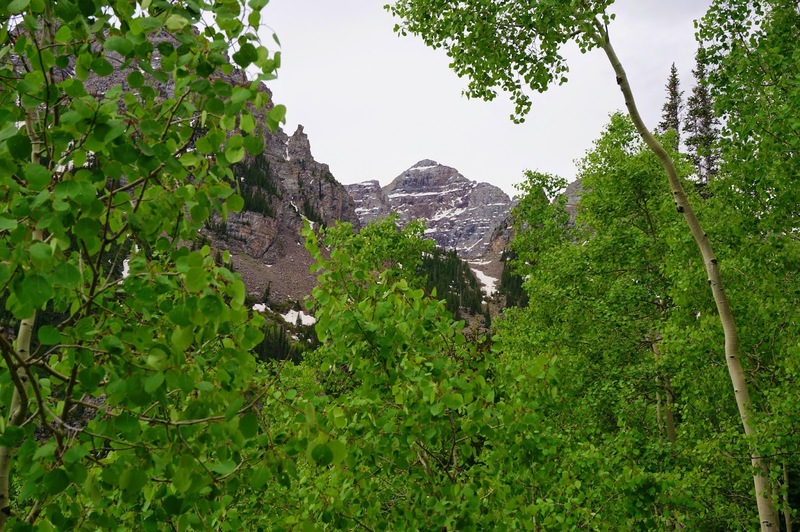 Directions: From Aspen, take Maroon Creek Road (closed in winter) southwest for about 10 miles to the Maroon Lake Parking Area. 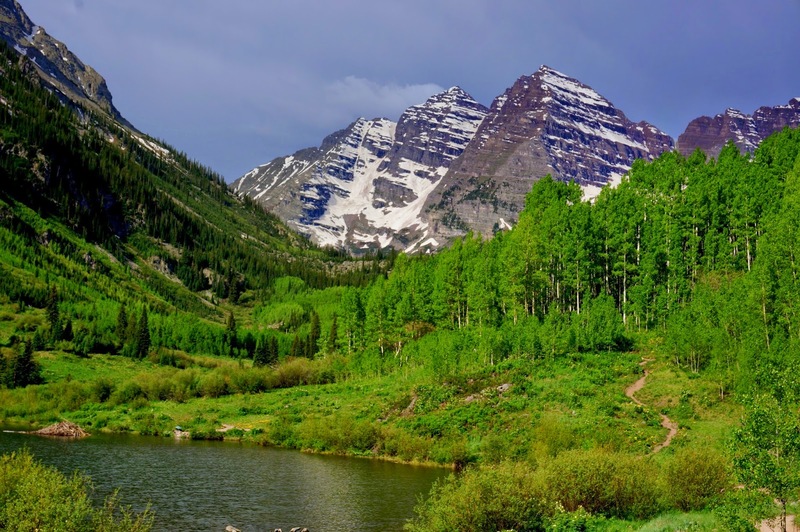 There is a fee to enter this area and there is mandatory shuttle service from mid-June to September. 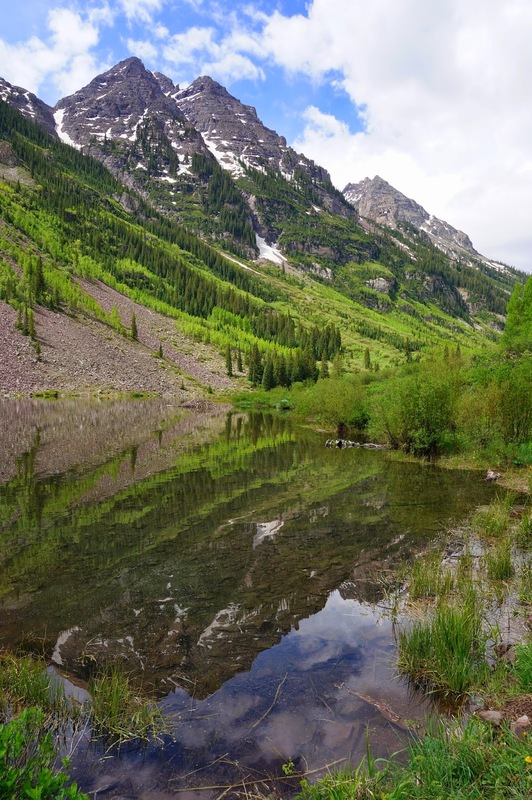 However, if you get there before 9:00AM you can drive yourself to Maroon Lake. 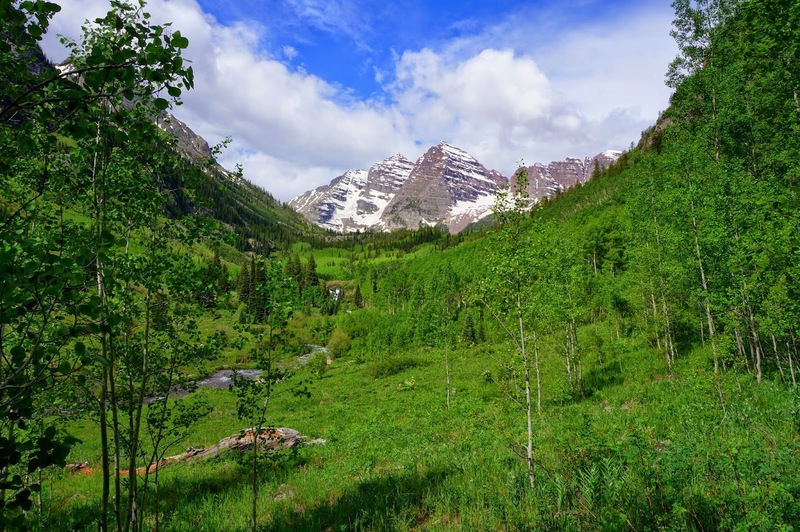 The hike to Crater Lake is a great way to get up close and personal with the Maroon Bells without doing one of the longer hikes in the area. 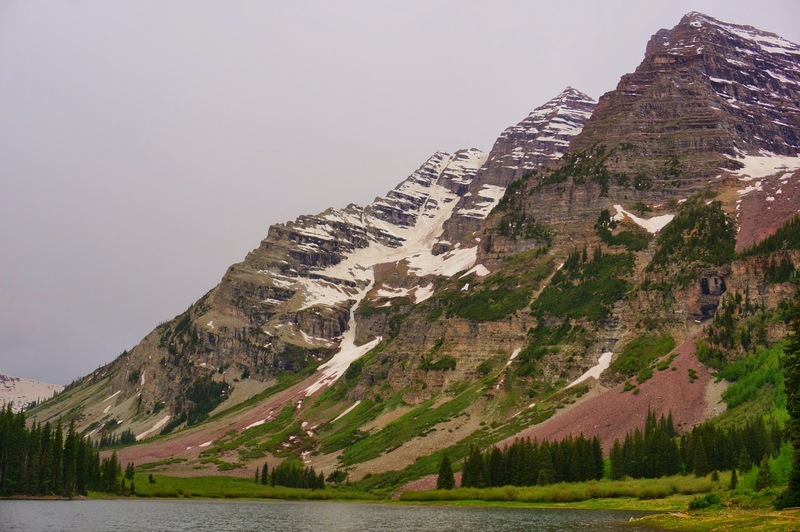 Crater Lake sits at the base of the Bells and although there will be crowds of people at Maroon Lake, few of them will travel the 3.5 mi (RT) to Crater Lake. 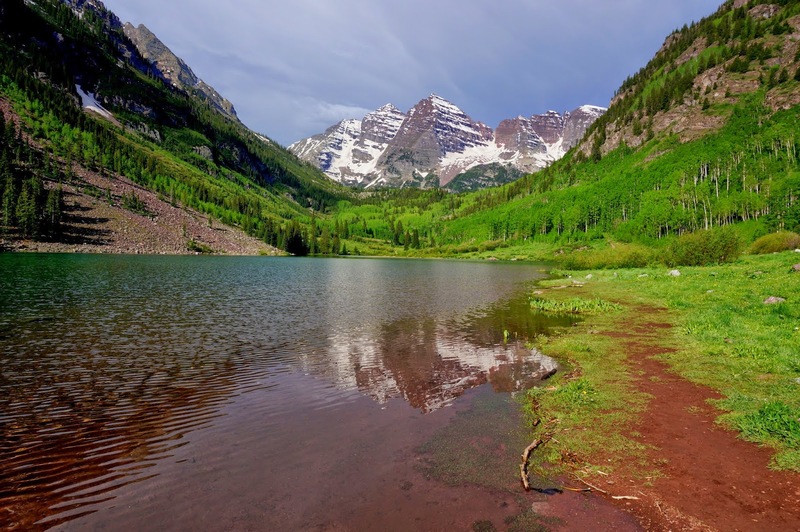 Follow the Maroon Lake Trail along the north shore of the lake, this is where all those famous Maroon Bells photos are taken and it is beautiful! 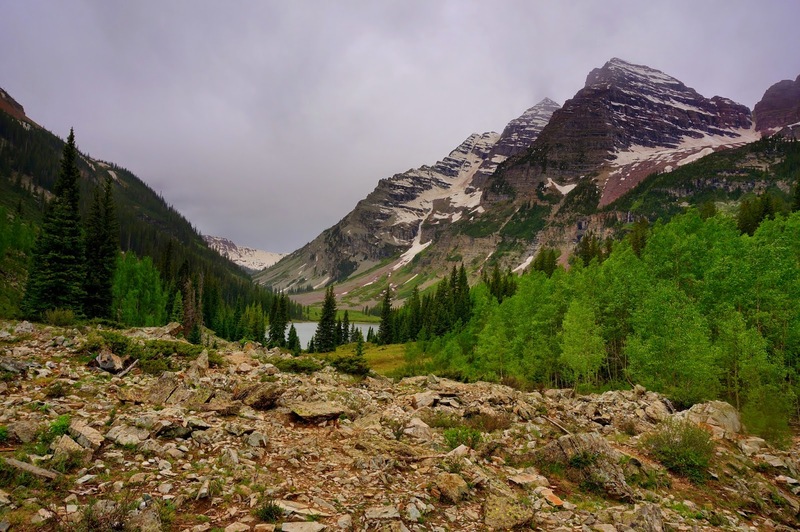 Once you pass the lake, you'll come to the wilderness boundary and a trail junction. 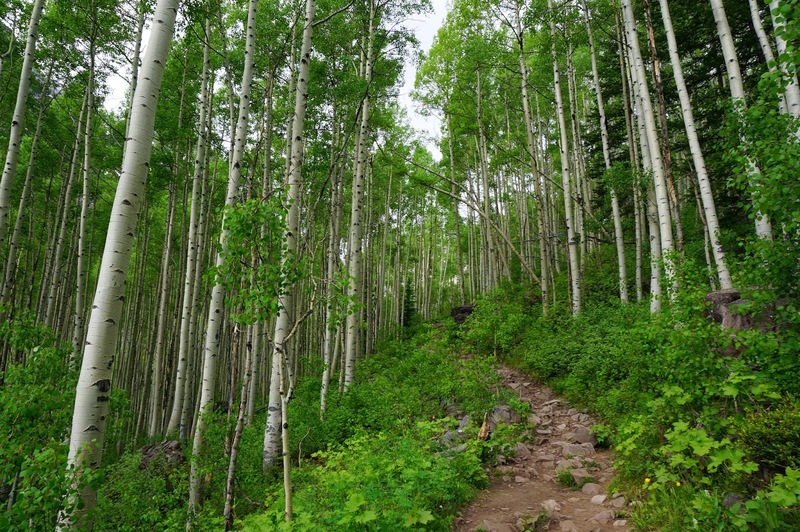 Go straight here to get to Crater Lake, go left to hike the scenic trail. 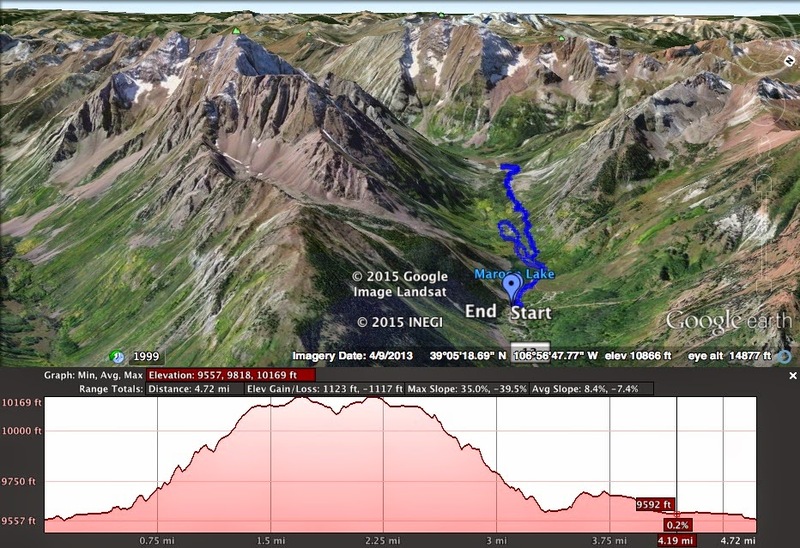 I suggest going to Crater Lake and taking the Scenic Trail on the way back. 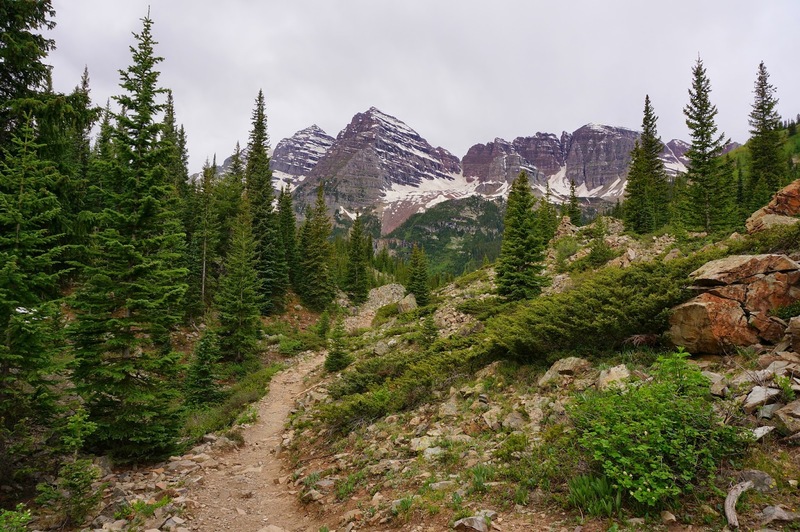 The hike to Crater Lake takes you through Aspen Forest and rocky areas that open up with great views of the Bells and Pyramid Peak towering over you to the south. 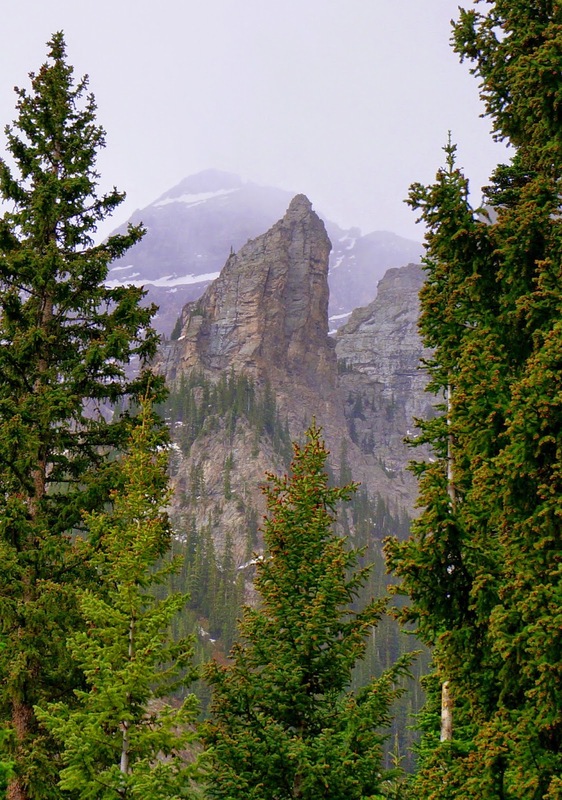 You'll loose sight of the Bells for a little while, but when they reappear, they are right above you. 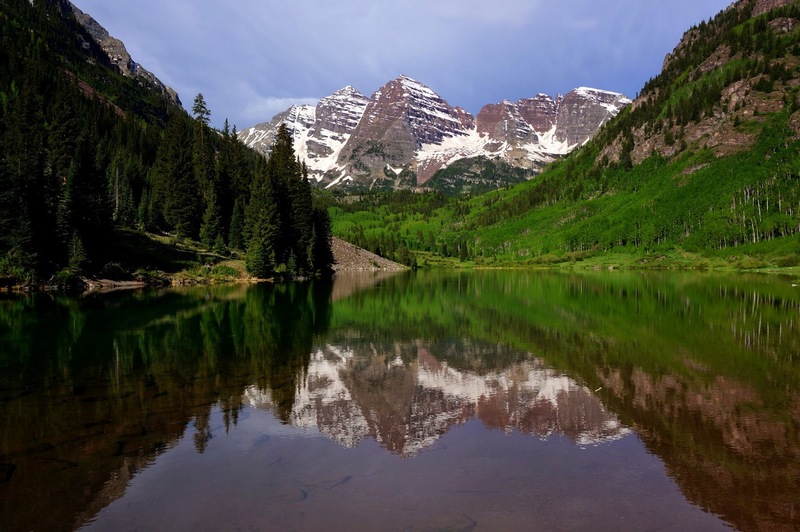 It is awe inspiring to be so close to some of Colorado's most iconic mountains. 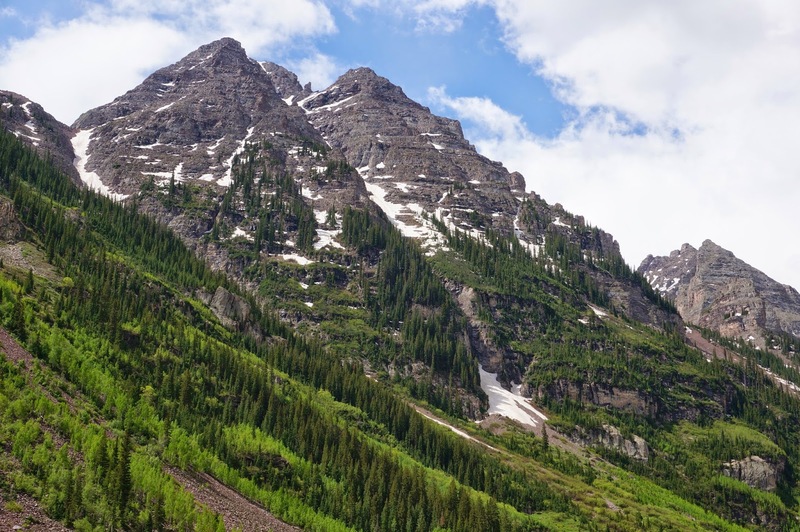 When you get this view, you are almost to Crater Lake. 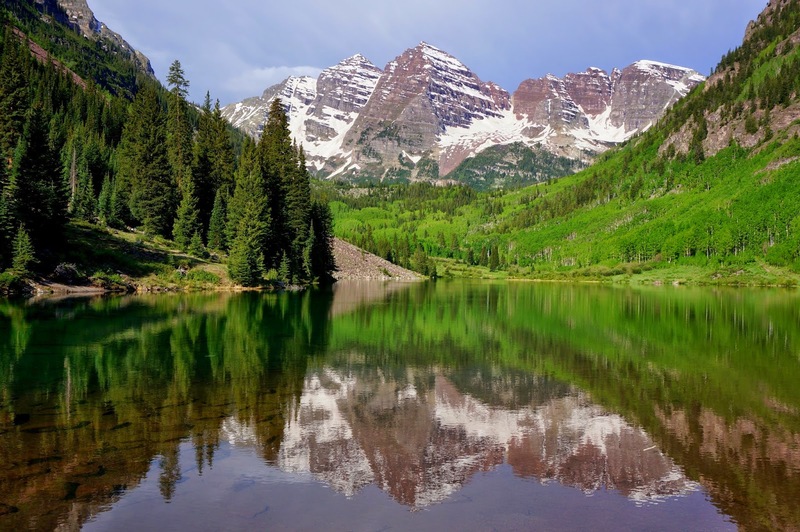 Dip down to the lake and enjoy the view. 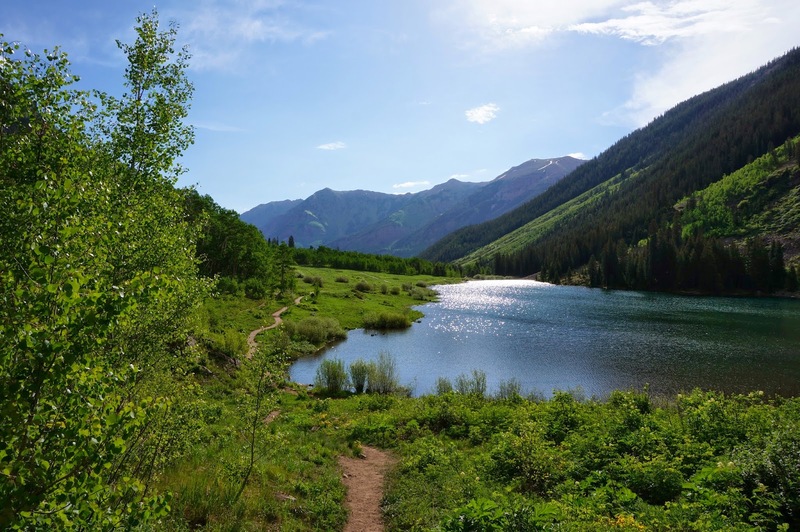 The trail continues along the north shore of the lake but there is no official trail around the lake. 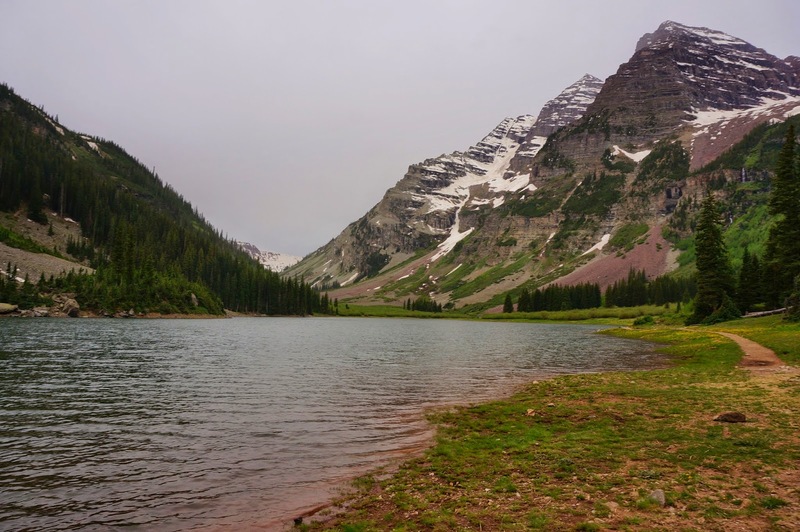 When I arrived at Crater Lake, the weather was getting worse and worse, it started raining just as I hit the shoreline. 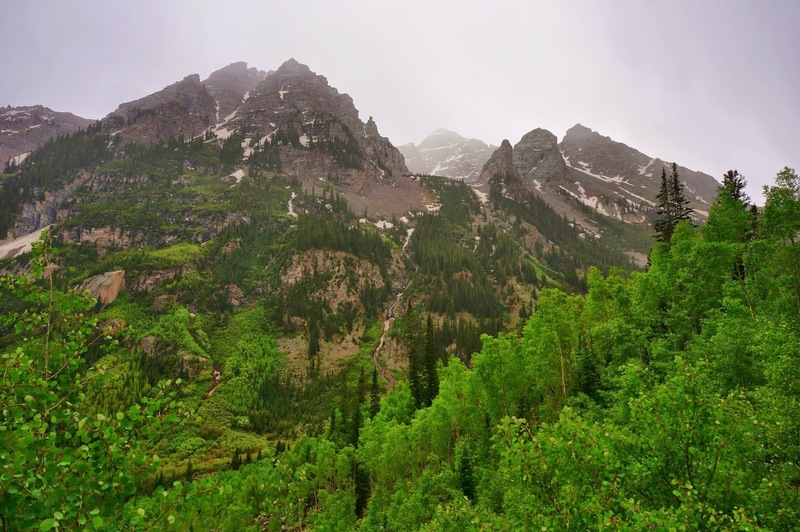 In retrospect I wish I had stuck it out because the clouds blew through in about 20 minutes (such is CO weather). 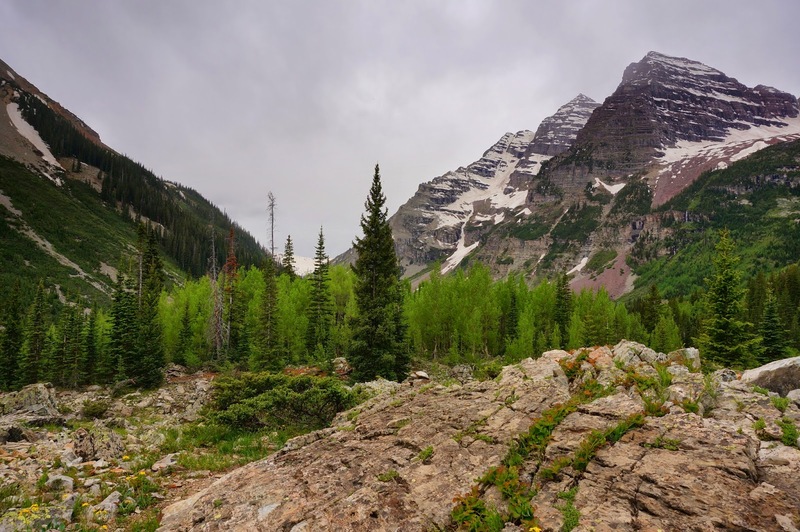 When the clouds parted I had just arrived at the Maroon Lake scenic trail and was, thankfully, rewarded with some amazing views from the upper loop trail. 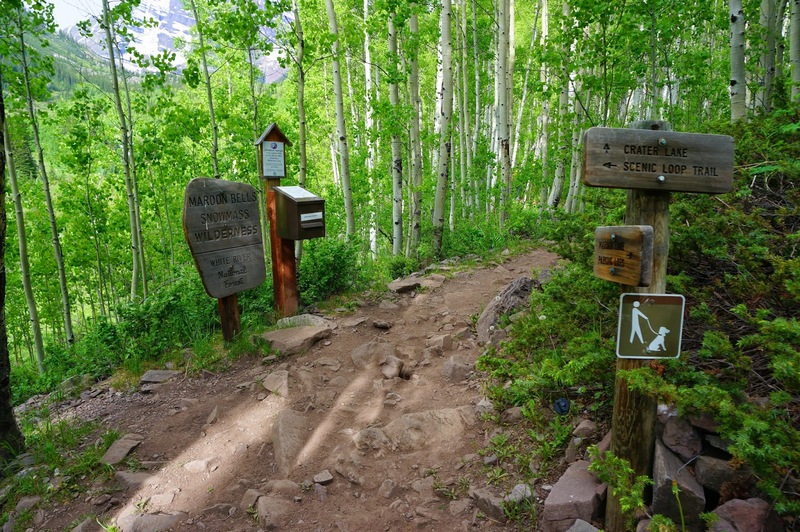 This trail is fantastic, don't let the crowds scare you off as there are far less people on this trail, then at Maroon Lake. 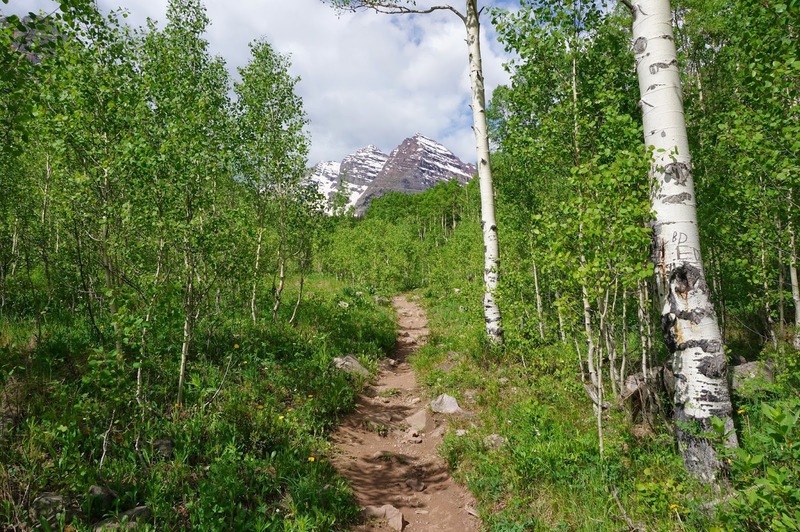 This is a perfect hike for kids and it is exciting for adults as well. 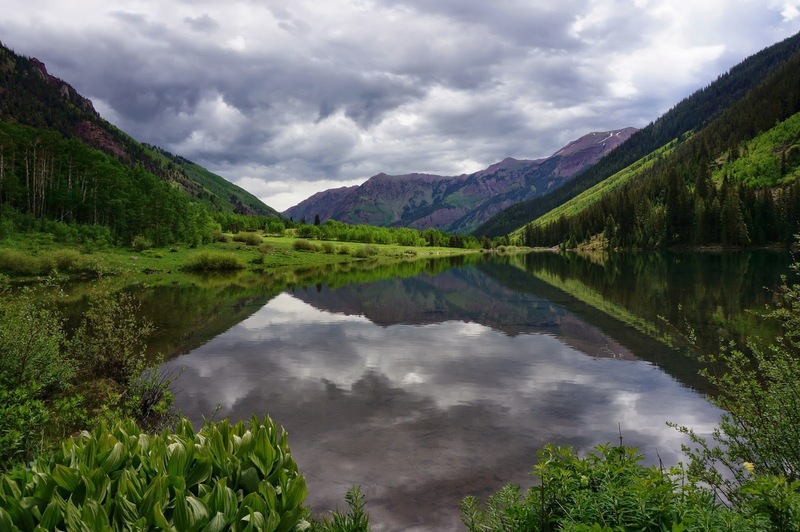 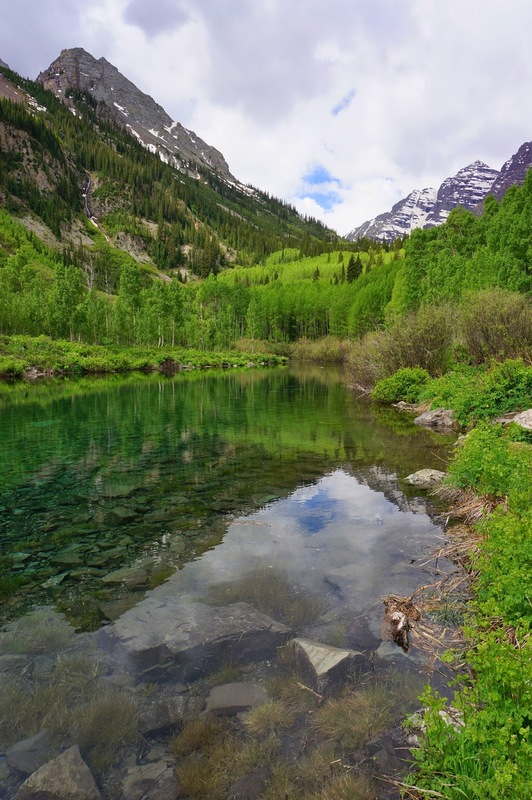 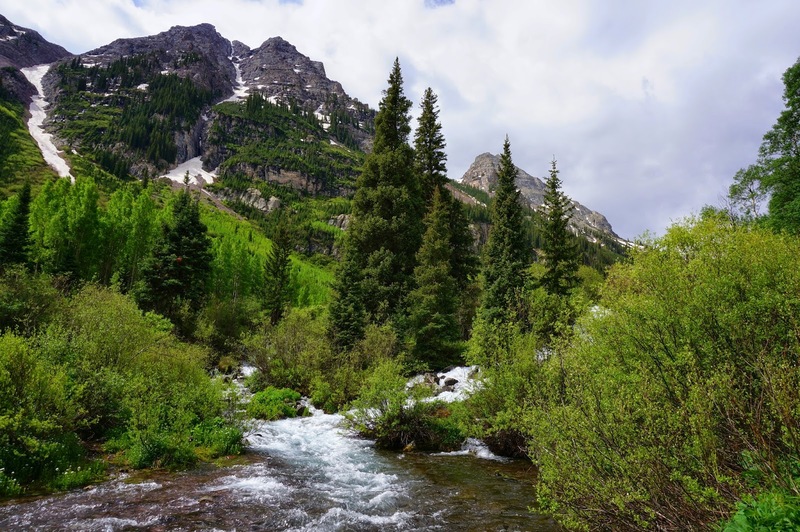 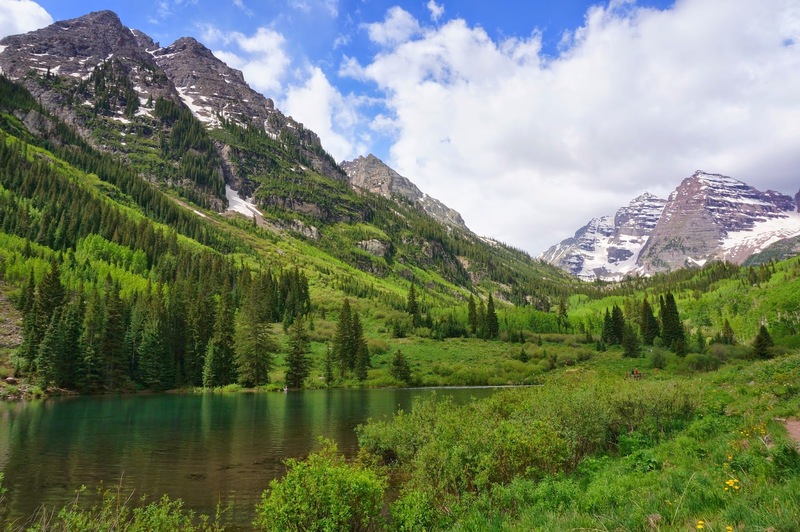 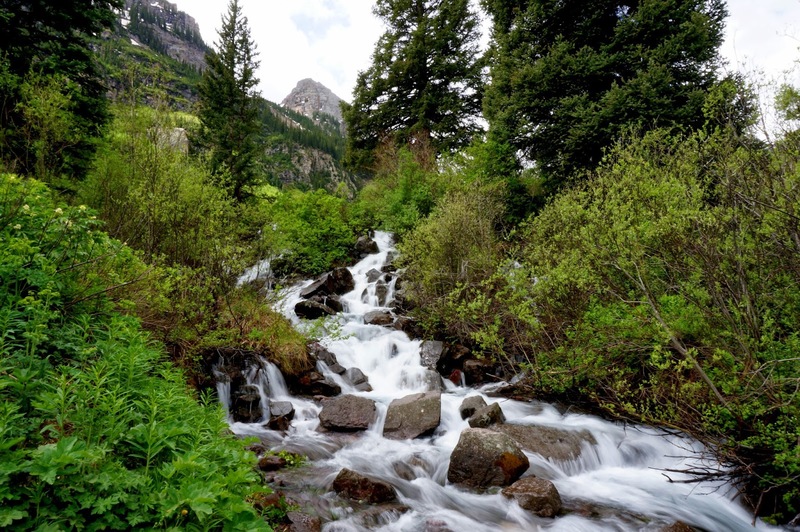 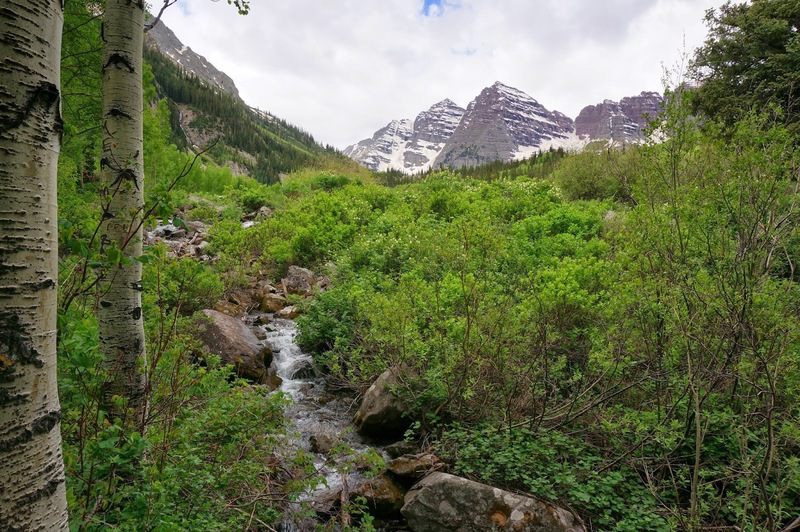 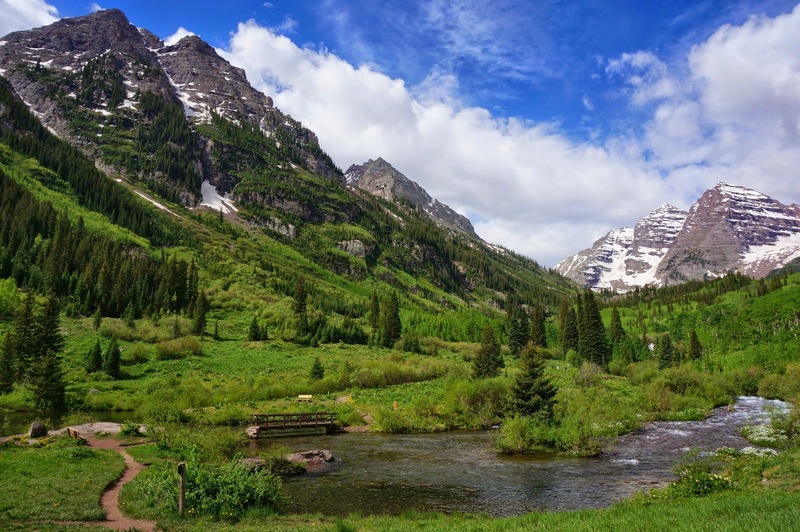 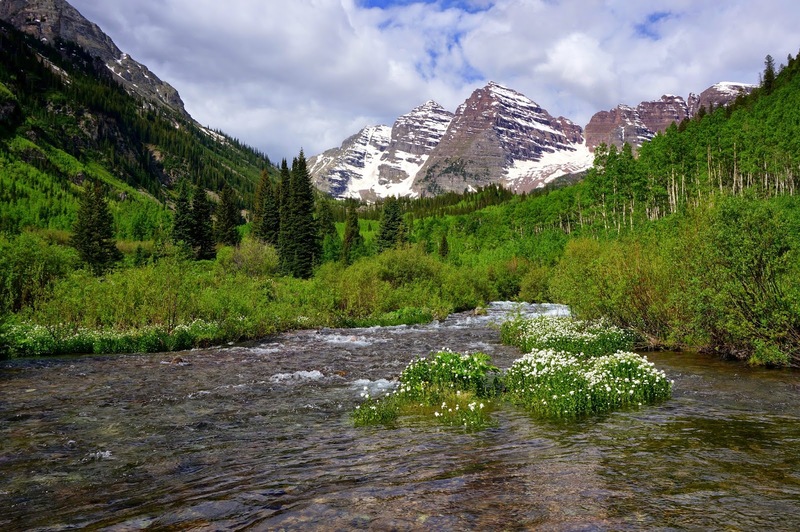 You cross Maroon Creek a few times, get a stunning display of wildflowers, and get the views of the Maroon Bells and Pyramid Peak that you will be craving. 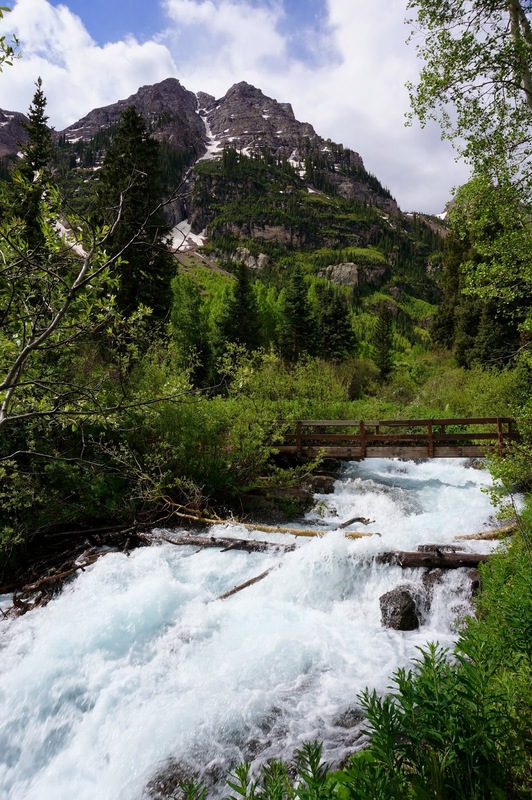 If you can't go to Crater Lake, this is a good backup, and it is a little extra bonus if you were able to get to Crater Lake.